One of the hottest new trends among golfers of all levels is the affordable launch monitor. 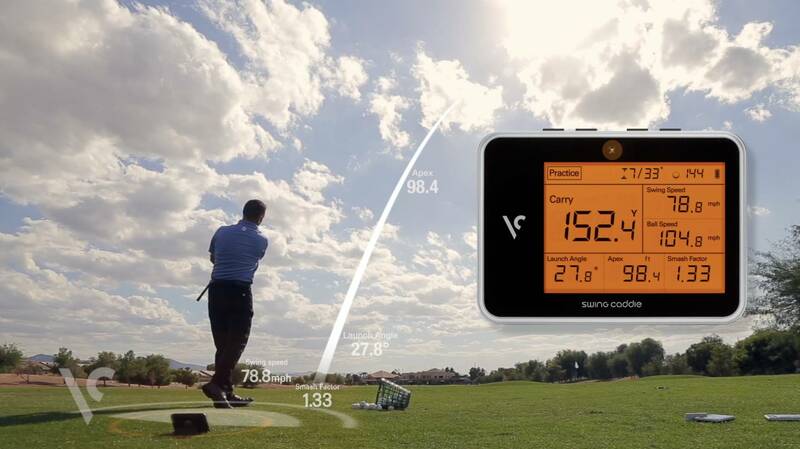 Most likely, you’ve already seen the traditional, industry standard launch monitor at work in golf tournaments. These launch monitors provide instant statistics on every shot. And shot statistics do more than add interest to a PGA Tournament. 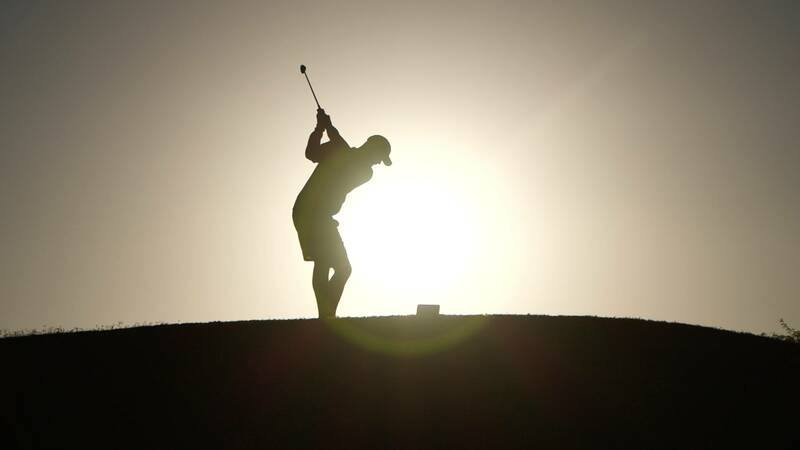 They also offer priceless insights for any golfer seeking to pinpoint shortcomings and practice more strategically. Until recently, launch monitors only came with a price tag of $10,000 or more. They were the luxury of touring professionals, only available to amateur golfers in major golf facilities. Over the past couple years, however, industry innovators have found ways to make the same cutting edge technology portable and affordable to almost anyone. And the innovator leading the industry is Swing Caddie. You’ve likely heard of Swing Caddie. 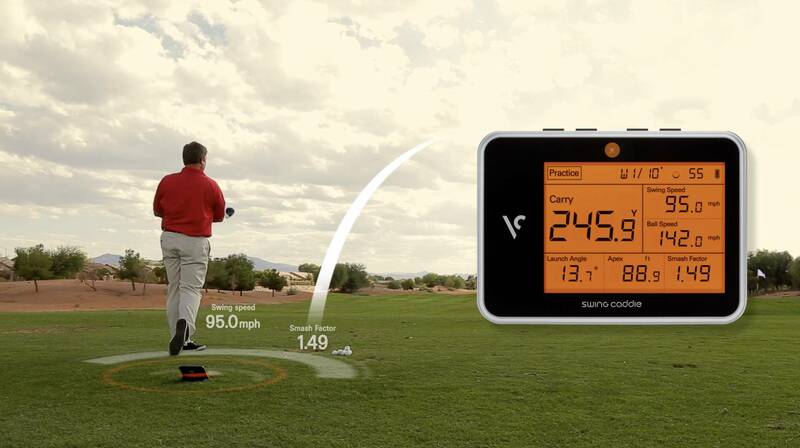 Their SC200 portable launch monitor was a huge hit from the moment of its release. Combining state-of-the-art Doppler Radar technology with affordability and a lightweight, compact design, the SC200 quickly became the go-to tool for coaches, professionals, and weekend warriors alike. 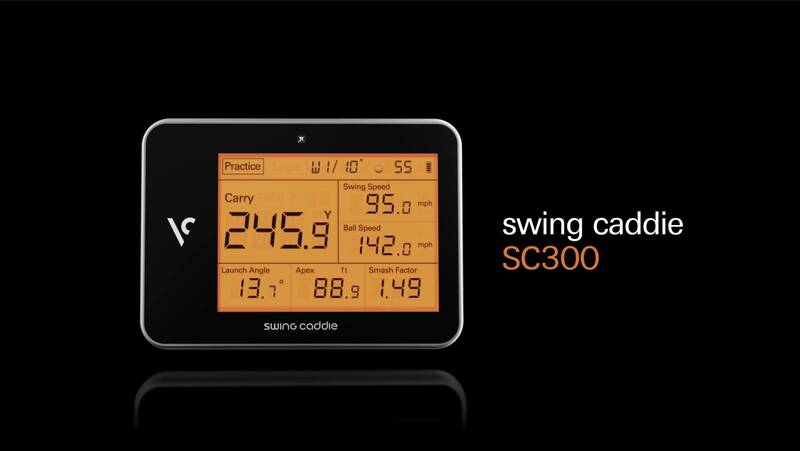 Now, Swing Caddie is introducing their newest model, the SC300 portable launch monitor. How does it stack up? I’ll fill you in on the new features that set the SC300 apart. First, let’s talk about the foundation on which this new model is built. The SC200 is a lightweight device about the size of a smart phone. It’s battery-operated and comes with a remote control. Using the launch monitor is incredibly easy; just set it up on the ground 3-4 feet behind your golf ball and take your shot. The device immediately displays feedback on your swing, including swing speed, smash factor, ball speed, and carry distance. With this information, you can more easily evaluate your swing. Are you maximizing your clubhead speed? Are you getting solid, clean impact, or are you seeing a low smash factor and disappointing ball speed? And are your shots longer or shorter than you had estimated? Swing Caddie’s launch monitor even stores statistics for your last 100 shots so you can look for patterns and track improvement. Moreover, the SC200 offers golfers three different modes so they can strategize their practice based on the needs of their game. Practice Mode offers the basic shot feedback. Target Mode allows you to set a target distance and scores you on accuracy. Approach Mode selects a target distance at random, allowing you to test your control and adaptability. Now, with the SC300, Swing Caddie offers all these popular features plus a few new elements that will take your game to the next level. As a PGA Teaching Professional, I can assure you, the more information you have about your golf swing, the easier it is to make real improvements to your game. I serve as Director of Golf at the Sanford Power Golf Academy, and I use launch monitors with my students all the time. I also encourage them to get their own portable launch monitors. So it’s no wonder I’m a big fan of the new features of the SC300. For this new generation of launch monitor, Swing Caddie added three areas of feedback for greater insight into your game. In addition to swing speed, smash factor, ball speed, and carry distance, the SC300 also tells you the apex of each shot. The apex is the highest point in your golf ball’s trajectory. There are several ways you can benefit from understanding the shape of your ball flight. Probably one of the most compelling examples relates to navigating hazards on the course. For example, imagine you have to shoot over a tree. Or, on the flip side, you may want to make sure your ball glides under a tree. Either way, when you know how high or low you tend to hit the ball, you have clearer expectations for your shot. This knowledge can inform your course management or guide you to make any necessary adjustments in your swing. The question of apex arises a lot at the Sanford POWER Golf Academy, as well. We get a lot of wind in South Dakota, so it’s not at all uncommon for me to encourage my students to shoot a little lower. With a reliable launch monitor, they have a quantifiable understanding of what “lower” means. The SC300 also displays launch angle information after each shot. “Launch angle”—as you probably deduced—refers to the angle at which your ball launches. And why does launch angle matter? Well, there is a significant relationship between launch angle and trajectory. If you find you’re always hitting the ball short and you’ve been assuming it’s a problem with swing speed, the SC300 could reveal it’s just a high launch angle. You’ve been popping the ball up more than you realize. Launch angle is also a major consideration for fittings. 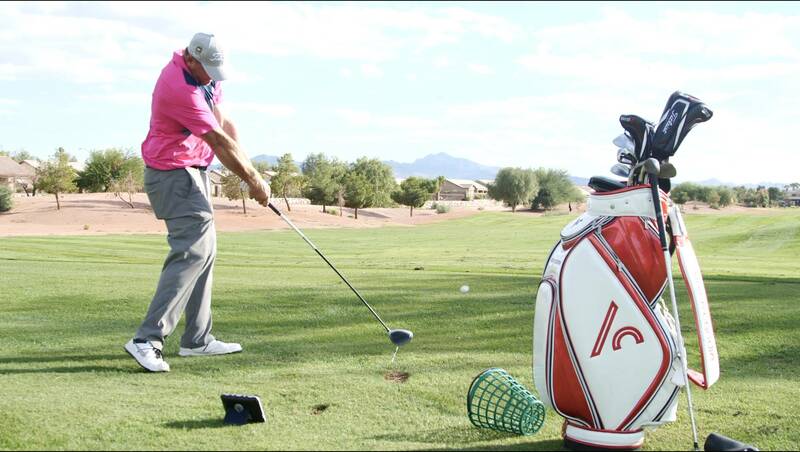 In fact, launch angle informs which type of ball, clubhead, and shaft that are ideal for you. 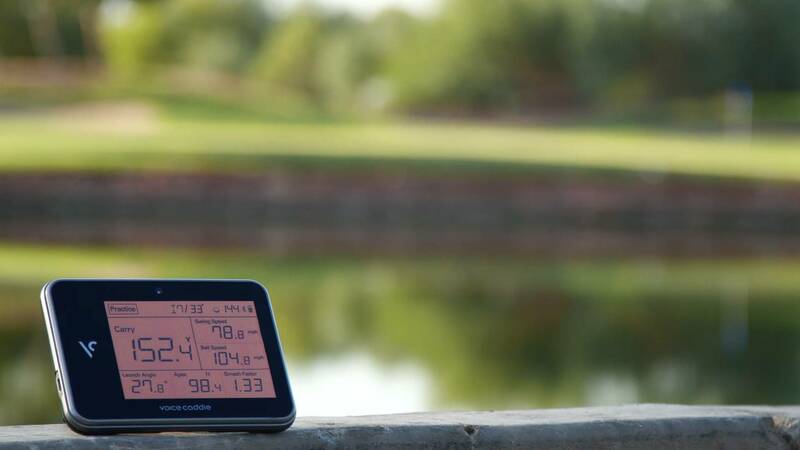 The SC300 provides information as a bonus on the Swing Caddie app. This information is easy to access—just download the free SC300 app, and after each shot, you’ll see the data right there on your phone. Tracking your game is a hidden gem not just in the SC300 app, but also within the world of golf stats. Very few people actually track their golf game. Let’s face it, how can you? 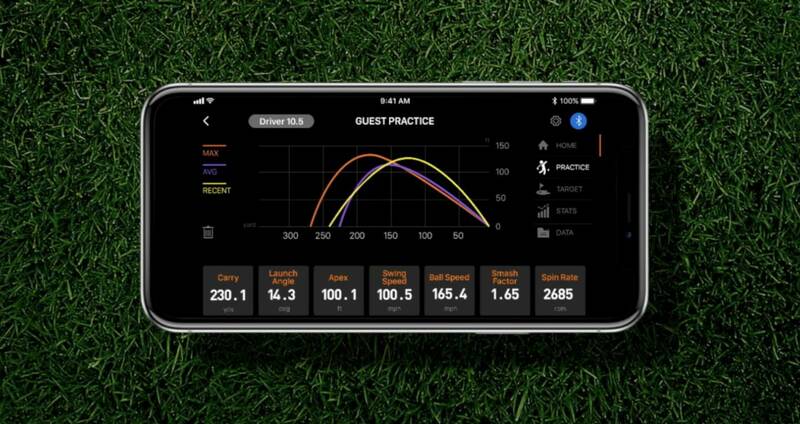 But not only does the SC300 boast great stats on the portable launch monitor itself, the SC300 app allows you to get sample sizes. Can you imagine how much your game could change if you actually knew how far you were hitting each club on average? Along with clubhead speed and launch angle, apex is yet another factor that ultimately influences the trajectory of your ball. Because the SC300 gives you all these stats together, you can better evaluate every shot. You gain a clearer sense of what happened in your swing, how your ball reacted, and which of these factors may be the one tripping you up. Bottom Line: Could the SC300 Help Your Game? No question. 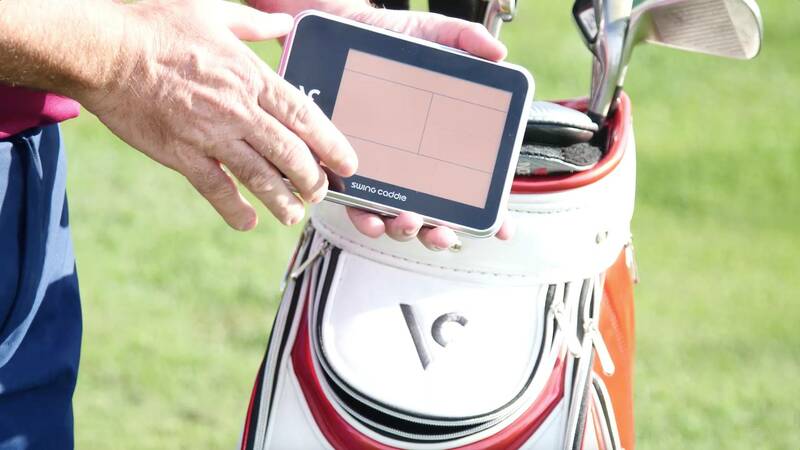 The SC300 portable launch monitor is a great investment for anyone seeking to make lasting improvements to their game. The unit is affordable to the average weekend golfer. Furthermore, the device is lightweight and battery operated so you can use it anywhere, anytime. And with Doppler Radar technology and Barometric Pressure Calibration, the SC300 delivers shot statistics with accuracy comparable to that of the more expensive industry standard launch monitors. Add in the SC300 app, and you have yourself the makings to really take your game to the next level! Informed golfers practice more wisely. And more strategic practice inevitably leads to a better golf game. Are you excited to try the SC300? Have you used the SC200 or any other launch monitor? If so, what was your experience? Join us in the comments with whatever questions and opinions are on your mind. Whether you agree or disagree, we always look forward to talking golf! Also be sure to subscribe to our channel and join us at GreatGolfTipsNow.com for further insights on all aspects of the game, from driving to chipping to bunkers. I am definitely interested in getting my hands on one of these. To be able to get my numbers on demand with a portable launch monitor that is reliable is clutch. Thanks for the comment Robbie, we tested the units again at the PGA Show in Orlando and thought they were great! Be sure to check back with us soon, we’ll keep you posted when the SC300 is available!